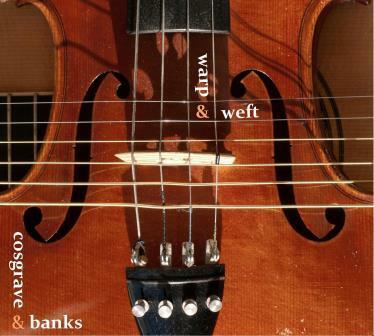 warp & weft is the debut CD from Cosgrave & Banks, official release date 12 August 2016, but you can buy your copy here now. It has ten tracks, 49 minutes of great music from their current programme. You can listen to long excerpts from all the tracks on the Audio/Video page, and there are notes about the album and individual tracks here. Shipping costs of £1.25 to UK, £2.00 to all other destinations, will be added when you checkout. Once you have added the CD to your cart, please CLICK HERE TO GO TO THE CHECKOUT and fill in your address details. Thank you for your order. If you have any queries, please e-mail steve ‘at’ cosgraveandbanks.com.